This is my version of Wordless Wednesday. A photo. With some words. 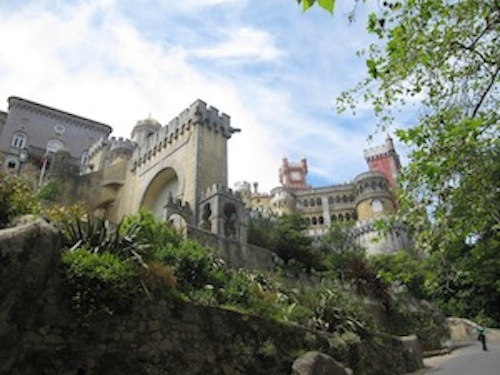 This is the Palazzo del Sintra in Sintra, Portugal. The one day trip I took, one of the few typically touristy things I did when I was in Portugal. I definitely recommend heading to Sintra. Tucked away in the mountains, this town has a lot of history, and a lot of of castles to explore. This palace is one of the more eccentric of the bunch, and it was really quite amazing. Check it out one day.